First Silver Coins for 2017 are Barbers! 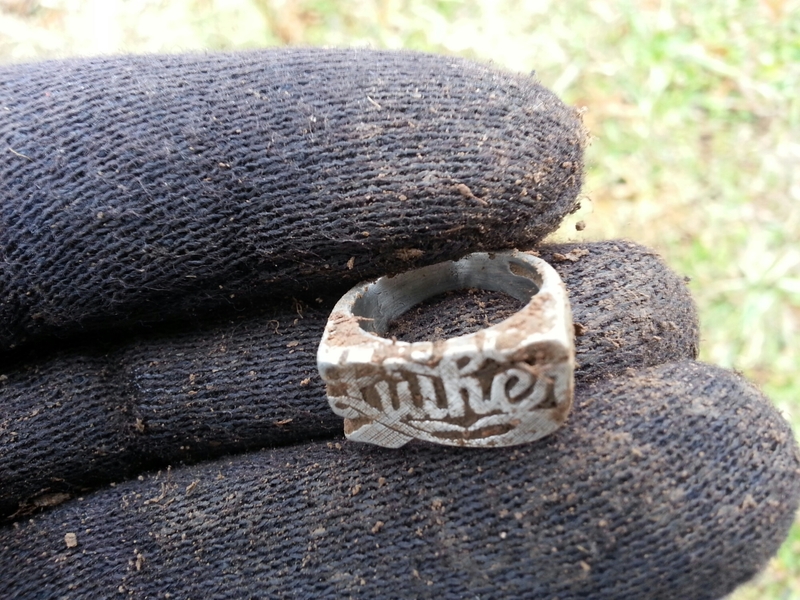 My first silver this year came in the form of a man’s ring inscribed “Luther” accross its face. It rang up a constant 12-47 on the Etrac. I didn’t find an old coin that day and only a couple modern coins in that area. I met my brother yesterday at large local park we’ve been pounding for the last couple months. Despite everything being covered with a thin sheet of ice and being really cold, we set out to find our fortunes. 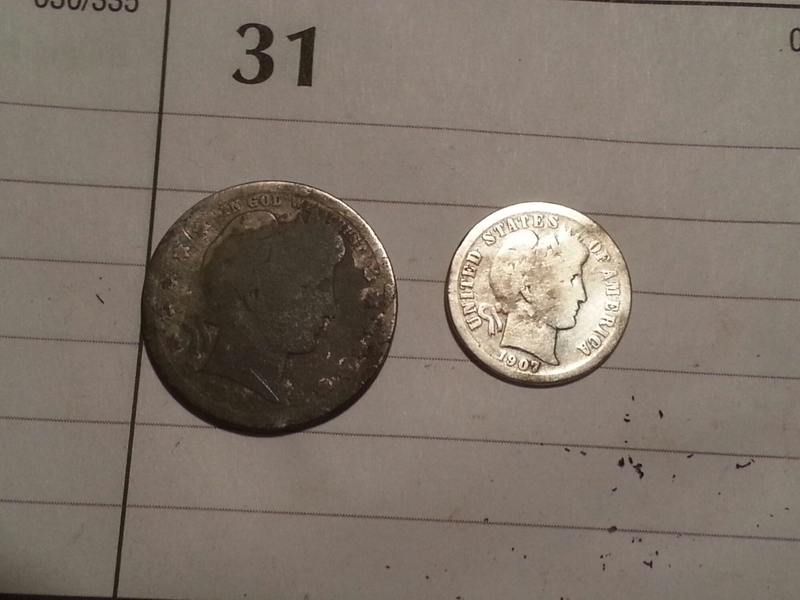 I decided to go back to an area we’ve hit several times before and where I found a Barber dime, some Mercury dimes, silver Rosies and silver Washington Quarters. My brother picked up a couple of Barber Quarters and a Rosie. 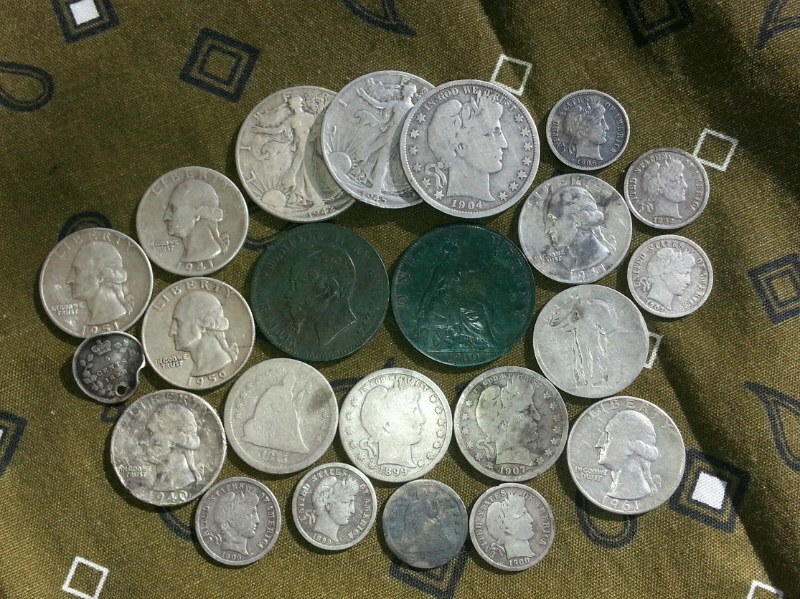 I asked myself, “did we find it all?” After picking up a couple clad quarters, some clad dimes and those 4 -5″ deep memorials that occasionally ring up 12-45 (one of these days someone is going to have to explain to me how that works) I hit an interesting signal. 12-41, 12-40 and 12-45 once. Nice constant tone, but not a screaming silver sound. I dug the hole and in one of the chunks of dirt I see a silver rim. A silver dime! As I carefully picked away the dirt I see the date 1907. My first silver coin of the new year is a 1907 O Barber dime. How cool is that! So I switched to all metal and interrogated every signal in the vicinity. No more coins. So I switched backed to my discrimination pattern and started gridding the area. A couple minutes later I hear a good tone and looked down and 8-46 is on the screen. As I circled the spot I noticed my numbers were 6-46, 8-46 and my hopes for a silver quarter grew. As I flipped the plug, a flat silver disc drops to the bottom of the hole. 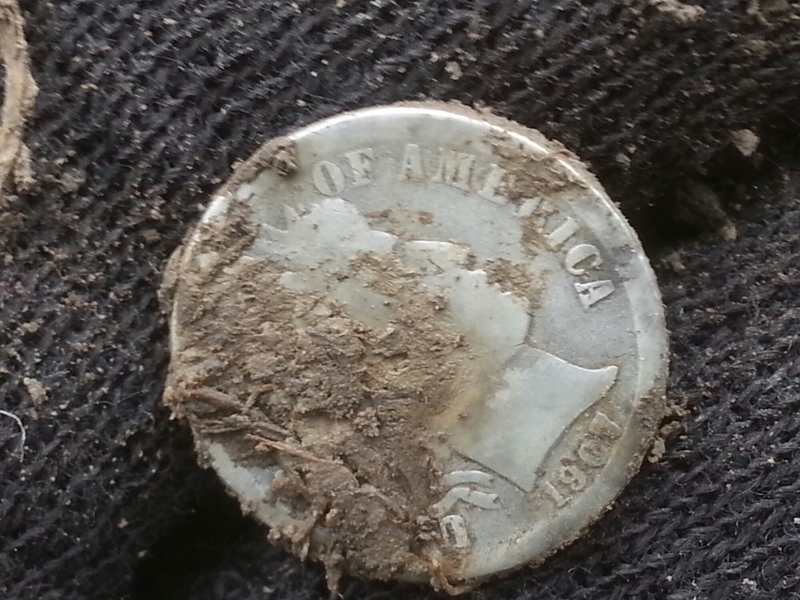 A very worn 1903 Barber quarter is my reward. Really? My second silver coin for the year is a Barber quarter! I really started rubbing my coil on the icy grass then 🙂 I hunted about 30 minutes more and gave into my cold complaing fingers and toes and headed home. Not a bad start to 2017. Find yesterdays history through today's world. My mindscape, from the inside out.